Our Auditorium is very flexible. 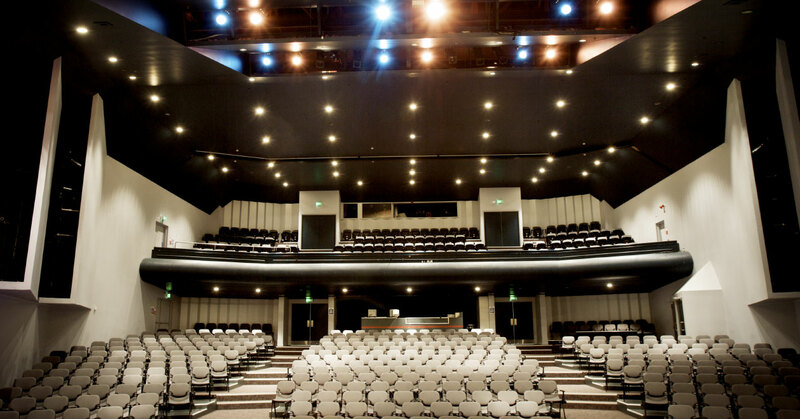 550 straight seating to 400 in theatre/restaurant seating and anywhere in between. We also can remove all the seats and the theatre will stand 900.